Every business needs a digital platform to work efficiently these days while it was never simple for nom-technical to make their place on internet market. People used to pay huge amounts to web-developers just to make their platform online. There is no doubt in a fact that people look online for every other thing these days and in this environment, it has become a necessity for every business to provide data on internet and provide an exclusive site for their services. It is even better to deal with customers online and provide them services without letting them bother to step out from their houses. Numbers of brands are providing all services online as well but for that, it is compulsory to have a user-friendly and effective website. It was costly and hard in previous times but services like Odoo Website builder has made it way too simple for its customers. E-commerce is definitely not overrated because it is actually an efficiency provider to all businesses. It has decreased workload on a large scale and has made lives of customers as well as product providers easy. 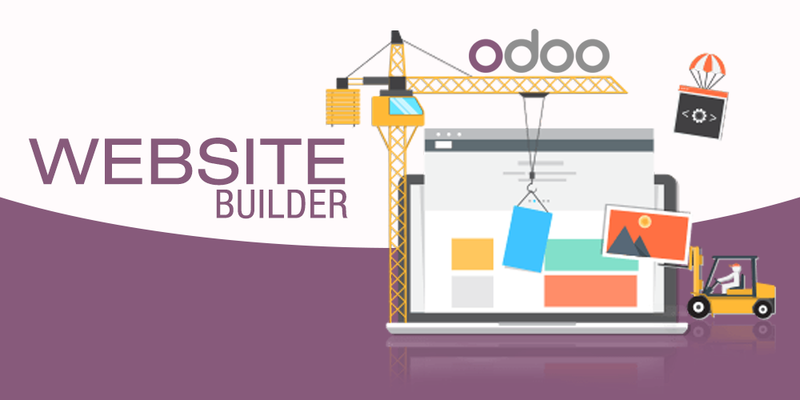 Odoo website builder is one of an advanced approach towards that easiness. Website creation is no more an issue or a long process now as one can create his own site by just drag and drop functionality. There is no requirement of code for designing a site while once a design is ready you can add functionality in it. One just needs to fulfill requirements of product page and can sit back to see their own created site. It is not possible for everyone to code but it is possible to design your own website due to these advanced services. It is a matter of fact that no one can understand your requirement more than yourself. Odoo focuses on this fact and provides services which allow users to customize and create their tools according to their requirements. Who does not want to make their platform classic yet creative while criterion of creativity is different for everyone so for satisfying your criteria Odoo provides a platform where you can let your creativity flow in a direction you want. Certainly, it is important to keep functionality and standards in mind along with creativity but they will not act as hurdles for making your designs. You can work according to your style and your brand guidelines. Odoo help to fulfill branding needs of its customers while ensuring that services are advanced and on a satisfying level. There also tools for SEO which can help to make your website optimized on search engines. Odoo cut off all the dependability and make its customers his own boss. In addition, there are applications which can help to extend your website and deal with all the requirements of time. It helps web application to be mobile friendly so that users can get more optimized platforms. Every brand has its own significant characteristics while Odoo applications are designed to deals with those distinct significances. A website builder is a tool that can be utilized for many enterprises whether they are big or small. It used to be a hard task at some time but these self-proficient approaches have brought a lot of flexibilities for its users. Users just need to utilize them properly and they can witness a drastic change in their satisfaction level. These open source business applications are designed to solve issues that often occur in a process of business development and these solutions are found to be majorly influencing current market. Businesses have become smarter whereas authorities can have all the controls in their own hands. Other applications also serve areas of business dealing on internet and they have their own role but Odoo website builder has its own place. There is no risk of compromising on any requirement when you are building your own pages of a website. Moreover, custom landing pages allow you to direct user where you want them to. There is no need to appoint huge staff to make your business advanced on a technical level, you just need to have tools like Odoo which will guide you to achieve your goals related to digital marketing. Enterprise resource planners were designed to provide resources to entrepreneurs which can be beneficent for enhancing their business’s profitability and Odoo is trying to fulfill all the criteria of advanced business solutions to make the statement true. You just need to be smart enough to know how you can utilize these resources to make your business more optimizing through Odoo services.